The perfect little gift for that night owl in your life, who can't put down that awesome book! Any owl lover would love to add a piece of "owl decor" to their collection. Why not something that can be useful too? 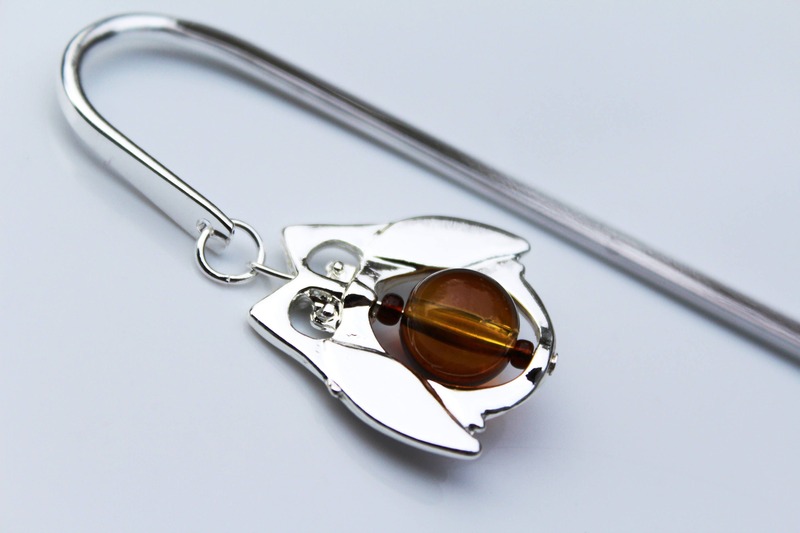 Hold your spot with this 5 inch long, silver plated, metal bookmark...and dangling outside your book will be this adorable owl with an amber/brown colored bead belly. 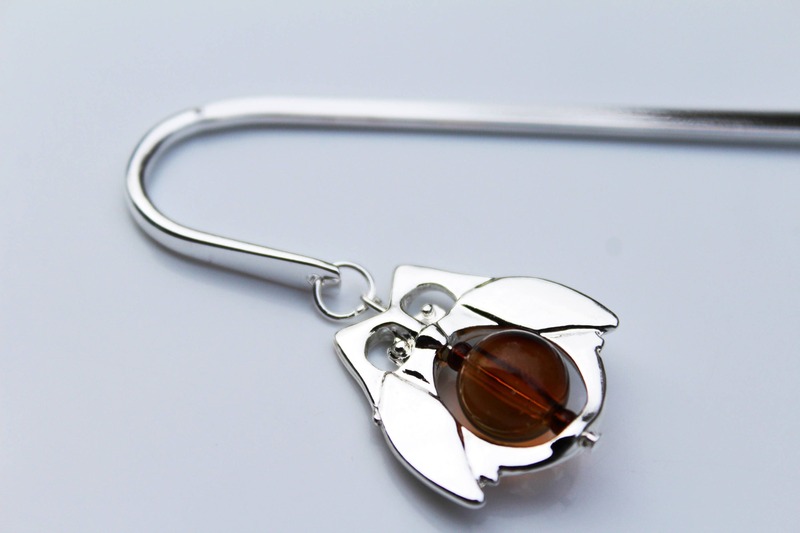 The metal bookmark is made of silver plated steel and measures 5 inches long. 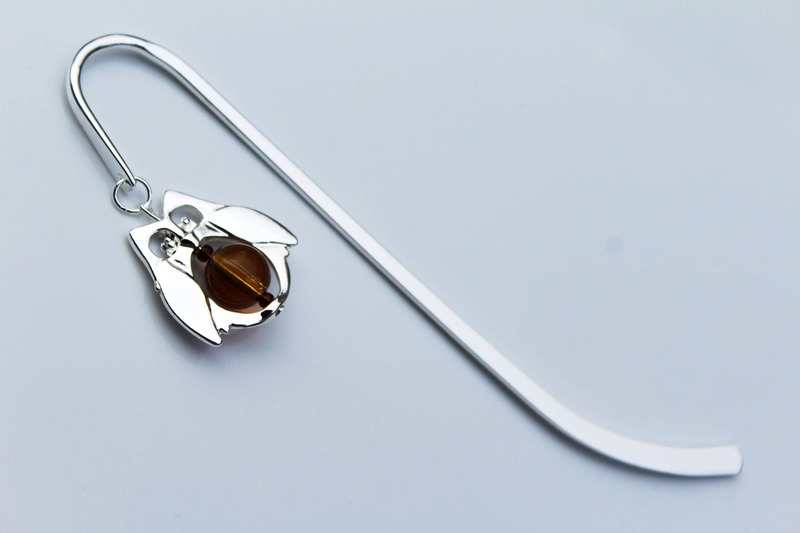 This bookmark (as well as all my bookmarks), comes in a box and is ready for gift giving. This book mark is simply stunning. It looks expensive and unique. Gorgeous! I know the gift recipient will love it!